If It Matters To God How We Worship Him. 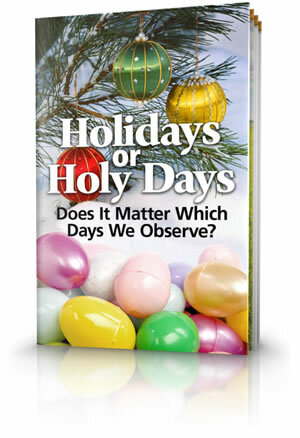 Holidays or Holy Days: Does it Matter Which Days We Keep? Does it Matter Which Days We Keep? Many people are shocked to discover the origins of our most popular religious holidays. They are also surprised to find that the days God commands us to observe in the Bible the same days Jesus Christ and the apostles kept — are almost universally ignored. Why? Also, have you ever wondered why today's supposedly Christian holidays are observed with so many rituals and customs that are not found anywhere in the Bible? Where did Christmas and Easter come from? The Bible doesn't mention these festivals, yet they are an integral part of the Christian mainstream. 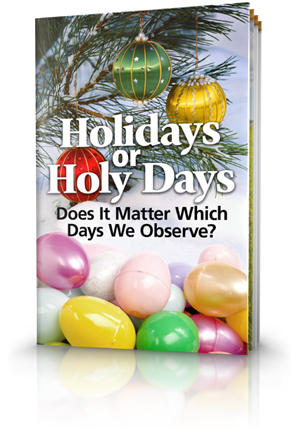 In our free booklet, Holidays or Holy Days: Does It Matter Which Days We Observe?, we compare these observances with the instructions about worship found in the Bible. Embark on an historical and biblical journey to discover the truth about holidays and holy days! Why are today's supposedly Christian holidays observed with so many rituals and customs that are not sanctioned anywhere in the Bible? People almost everywhere observe Christmas. But how did Christmas come to be observed? How did the customs and practices associated with Christmas make their way into traditional Christianity's most popular holiday? In view of centuries of criticism of the commercialisation of Christmas, it is interesting to note that the holiday's secular, not its religious, aspect, has been most responsible for its popularity. How well do the customs and traditions of Christmas match the biblical account of Christ's birth? If Jesus Christ was not born on December 25, does the Bible indicate when He was born? In contrast to the general public, which considers Christmas the most important Christian holiday, many theologians regard Easter as the preeminent celebration because it commemorates Jesus' resurrection. 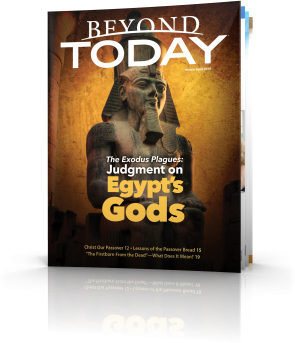 How did worship of an ancient god and goddess come to be associated with the death and resurrection of Jesus Christ? Have you ever wondered why eggs and rabbits--the popular hallmarks of Easter--were selected as symbols of fertility? What is the biblically accurate chronology of Jesus Christ's crucifixion and resurrection? Modern celebrations of Halloween may appear on the surface to be quite harmless, but the spiritual implications of dabbling with the spirit world are extremely serious. What About Thanksgiving, Hanukkah and Purim? Some believe we are free to add any religious holidays and celebrations of our own choosing. Is this true? Do annual celebrations exist that Christians should observe? A listing of God's festivals - Holy Days - found in the New Testament of the Bible. Does It Matter to God? We have a choice. We can choose the feast days instituted by God or the holidays substituted by men. The choices we make affect our destiny and impact our relationship with our Creator. The faith and faithfulness of Shadrach, Meshach and Abednego remains an enduring example of respect for God. A joy and peace of mind come from making right choices, from knowing you are conscientiously obeying God's instruction in the pages of the Bible.